The Atacama Large Millimeter/submillimeter Array (ALMA) has passed a key milestone crucial to producing the high-quality images that will be the trademark of this revolutionary new tool for astronomy. A team of ALMA astronomers and engineers successfully linked three of the observatory's advanced antennas at the 16,500-foot-elevation observing site in northern Chile. Linking three antennas to work in unison for the first time allowed the ALMA team to correct errors that can arise when only two antennas are used, thus paving the way for precise, high-resolution imaging. The three-antenna linkup was a key test of the full electronic and software system now being installed at ALMA. Its success shows that the completed ALMA system of 66 high-tech antennas will be capable of producing astronomical images of unprecedented quality at its designed observing wavelengths. "This successful test shows that we are well on the way to providing the clear, sharp ALMA images that will open a whole new window for observing the Universe. We look forward to imaging stars and planets as well as galaxies in their formation processes," said Fred Lo, director of the National Radio Astronomy Observatory (NRAO), which leads North America's participation in the ALMA project. A multi-antenna imaging system such as ALMA uses its antennas in pairs, with each antenna working with every other antenna. Each pair contributes a unique piece of information about the region of sky under observation. The contributions of all the pairs are collected and computer-processed into a completed image following the observation. Earlier ALMA tests, at the ALMA Test Facility in New Mexico, at ALMA's lower-elevation Operations Support Facility, and at the high observing site, had successfully linked pairs of antennas. This demonstrated the proper functioning of the antennas and electronic systems as what scientists and engineers call interferometer pairs. However, the information from one pair of antennas may be affected by errors in the system itself or by atmospheric effects. In order to remove such errors and ensure accurate imaging, a third antenna is needed. With the third antenna included, the system is said to have achieved "phase closure." The ALMA phase closure came as part of an ongoing series of tests beginning in late November. ALMA is designed to provide scientists with the ability to study the Universe using the shortest radio wavelengths at which the Earth's atmosphere is transparent. With sensitivity and imaging capability at these wavelengths never before available, ALMA is expected to make major advances in our understanding of such phenomena as star and planet formation, the birth of the first stars and galaxies in the Universe, the end stages of stellar life, and the chemistry of the Universe, among others. "With the successful achievement of phase closure, we now know we have a fully-functioning system, and we'll proceed to add more antennas as they are completed and brought to the observing site," said Al Wootten, North American ALMA Project Scientist. 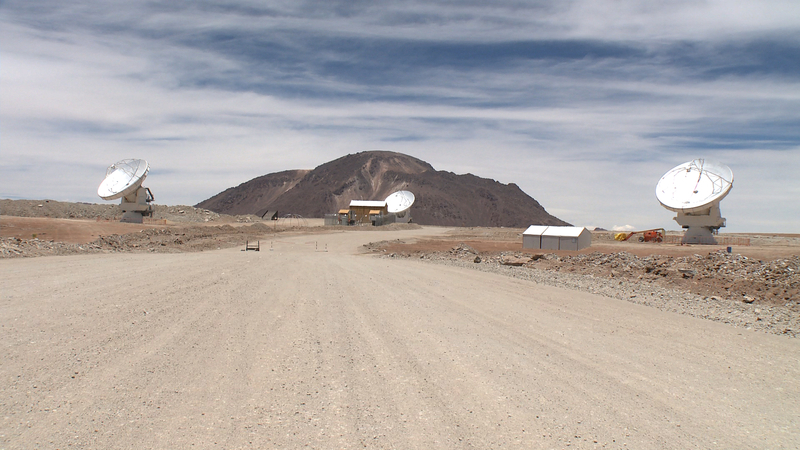 ALMA, an international astronomy facility, is a partnership of North America, Europe, and East Asia, in cooperation with the Republic of Chile.